The market for mobile apps is already big -- and it’s just going to keep getting bigger. If your business doesn’t already have a mobile app, it might be time to think about developing one. By 2017, it’s expected that over 268 billion downloads will generate $77 billion worth of revenue. 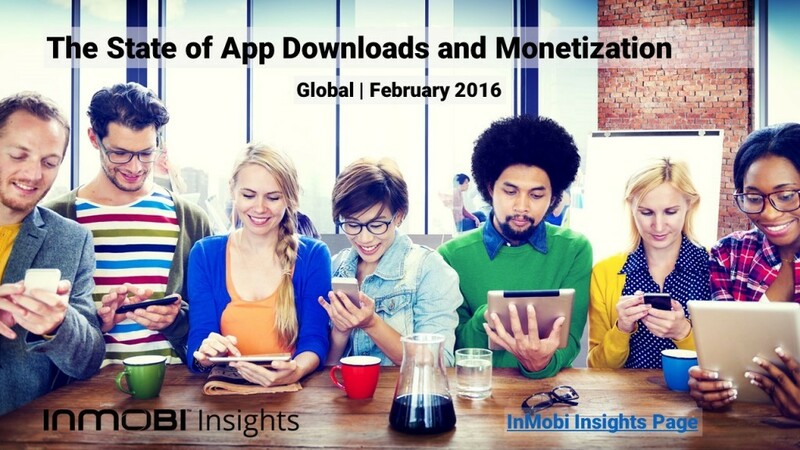 Through InMobi’s State of App Downloads and Monetization report we attempt to provide an in-depth look at the trends and patterns the mobile app economy displayed in 2015. We have analyzed millions of impressions and installs served each month through our network to provide market specific insights that can help developers craft a successful app acquisition and monetization strategy. Here are some questions the report answers. Which markets have growth potential? Which markets are growing expensive? Which category of apps grew in 2015?